Ida Minsaas, the author of this postcard and pictured on it's face as the older sister of Mathia and Anna was a member of the First Confirmation Class in Trondhjem Church in 1912. 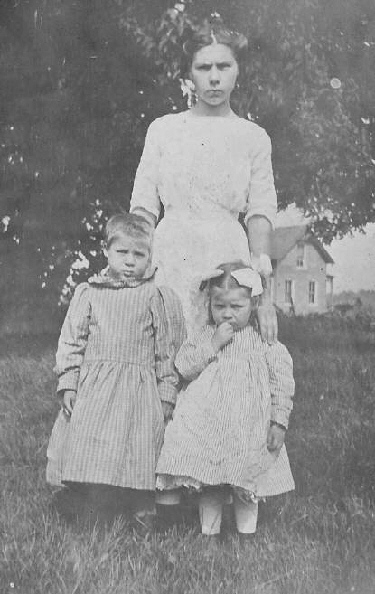 Please contact us if you can tell us anymore about this family. 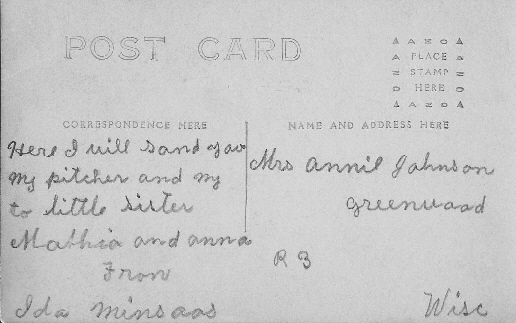 This card was written to Mrs. Annie Johnson of R.R. 3, Greenwood, WI.